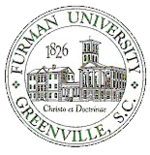 Furman University is a private liberal arts university in Greenville, South Carolina. Founded in 1826 and named for the clergyman Richard Furman,[A 3] Furman University is the oldest private institution of higher learning in South Carolina. It became a secular university in 1992, while keeping Christo et Doctrinae (For Christ and Learning) as its motto. It enrolls approximately 2,700 undergraduate students and 200 graduate students, representing 46 states and 53 foreign countries, on its 750-acre (304 ha) campus. Furman Academy and Theological Institution was established by the South Carolina Baptist Convention and incorporated in December 1825 in Edgefield. With 10 students meeting at Edgefield, it held its first classes January 15, 1828,[D 1] but moved to the High Hills of the Santee (now Stateburg, South Carolina) in 1829 because of financial difficulties. When the school was threatened with financial collapse again in 1834, the Reverend Jonathan Davis, chairman of the Board of Agents, urged the board to move the school to his native Fairfield County, South Carolina. It was not until 1851 that South Carolina Baptists were able to raise the necessary funds for the removal of the school to Greenville, South Carolina. The first school building from the downtown Greenville campus was transported to the current campus, where it still stands. In 1933, students from the Greenville Women's College began attending classes with Furman students. Shortly thereafter, the two schools merged to form the present institution. As of the late 1950s, separate but equal laws had continued to allow Furman to not admit African Americans as students, part of the South's history of racial segregation in the United States. Soon after Brown v. Board of Education integrated public schools, some Furman students began to press for change. [B 1] In 1955, some students wrote short stories and poems in The Echo, a student literary magazine, in support of integration; school administrators destroyed all 1,500 printed copies. [B 1] In 1953, Furman began construction on its new campus,[A 5] five miles (8 km) north of downtown Greenville. Classes on the new campus began in 1958. In addition to visible changes in campus buildings, significant donations have also enabled a new campus-wide program presented as The Furman Advantage. The infrastructure and networks necessary to support The Furman Advantage were made possible when Furman received $47 million from The Duke Endowment. The new program, unveiled in 2016, seeks to increase and personalize the experiences of students beyond the classroom. This includes strengthening the university's engagement with the Greenville community, where students are provided with internships and opportunities for engaged learning. For instance, a new program in partnership with Greenville Health System, the Institute for the Advancement of Community Health, provides a conduit for students and faculty to contribute to the community. The Furman Advantage also provides more stipends for students to partake into faculty-mentored research. The growing interest and infrastructure for research at Furman can also be witnessed in the creation of the annual Faculty Scholarship Reception. Furman offers majors and programs in 42 subjects. All students must complete general education requirements as part of the liberal arts curriculum. The general education requirements include mind and body wellness, textual analysis, two natural sciences, math/formal reasoning, two empirical studies of human behavior, history, ultimate question, foreign language, and world culture. Furman is not divided into colleges, but includes centers and institutes such as the David E. Shi Center for Sustainability, the Richard W. Riley Institute (on leadership), and the Institute for the Advancement of Community Health. Furman University is the highest-ranked institution of higher learning in South Carolina per Forbes, and the highest-ranked liberal arts college in South Carolina for rankings such as US News. In spring 2017, it was also ranked #13 most innovative liberal arts college by US News. It is considered to be a "more selective" school. Furman is also featured in The Princeton Review's "Best 378 Colleges" list, where it is named a "Best Southeastern College" and ranked #16 for classroom experience. Over time, Furman has also been mentioned in other specialized lists such as The Daily Beast's 2011 edition of "Most Rigorous Colleges in America", where it was ranked 2nd above Columbia, Harvard and Yale. Furman has also been featured in rankings such as the Washington Monthly Rankings based on its production of valuable research to society and its commitment to national service, where it was ranked 15th in the nation. Its undergraduate research program has been ranked 4th in the US News Best Undergraduate Research Programs along with Stanford, MIT and Michigan. It was also ranked 30th in the nation in the SSRN's U.S Colleges and Universities Rankings based on the choice to enroll of the highest-achieving students in US. Specific aspects of Furman have also received special attention. The landscaping and attractiveness of the campus have been recognized for many years: in 1997, Planning for Higher Education named Furman as a benchmark campus for its landscaping, while Princeton Review ranked Furman fifth in its list of beautiful campuses based on student ratings. More recently, in 2011, Travel+Leisure listed Furman as one of the most beautiful college campuses in the United States. Another specific part of Furman mentioned in rankings is the James B. Duke Library, which scored favorably for several years (based on student assessment of library facilities), being ranked from 7 to 12 (in 2010) by Princeton Review. The Furman Hall is centrally located on campus. Furman University's campus is located at the foothills of the Blue Ridge Mountains in the upstate region of South Carolina. A 40-acre (16.2 ha) lake is a highlight of the 750-acre (304 ha) wooded campus. Paris Mountain State Park overlooks the lake and campus. Most buildings are of Georgian-style architecture. Many academic buildings and student residences stand around the lake, including the Bell Tower, which figures highly in school insignias and is a replica of the tower that once existed on the men's campus in downtown Greenville. Today, the campus is anchored by its newly expanded 128,000-square foot (12,000 m²) James B. Duke Library. Informally known as "The Country Club of the South," Furman was named one of the 362 most beautiful places in America by the American Society of Landscape Architects. On the north side of the lake are the four Greenbelt housing cabins,[A 16] and the Cliffs Cottage. This 3,400 square feet "green" building designed by Scott Johnston is solar-powered using two panels,[D 8] and features geothermal heating. [B 2] Cliffs Cottage was the first sustainable showcase home for Southern Living magazine, which featured it in the article Our Most Innovative House Ever, detailing how to create a house that requires less energy and generates power. [D 8] The cottage now serves as home for the David E. Shi Center for Sustainability. The Charles E. Daniel Memorial Chapel holds events such as weddings, concerts, and lectures. All full-time students, except those who are married or living at home with their parents or guardians, are required to live on campus in university housing. Furman undergraduates can choose between south campus housing and lakeside housing. South Housing includes the Geer, Manly, Poteat, Blackwell and McGlothlin dorms. Lakeside Housing includes the Gambrell, Ramsey, Judson, Townes, McBee, Haynsworth, and Chiles dorm. All student housing has air-conditioning, closets, wireless Internet access, and washer-dryer usage. The North Village is an apartment complex that offers apartment-style living for upperclassmen. North Village apartments offer two or four bedrooms, living room, full kitchen, balcony, two vanity areas, two bathrooms and closet and storage space. Within each bedroom, a full-size bed, desk, desk chair and dresser/hutch is provided for each resident. In 2012, the annual costs for residing in the on-campus dormitories was $5,198 per student. Furman University students are required to have a meal plan. Freshmen students are required to have an unlimited meal plan. The main dining facility is the Daniel Dining Hall. Renovated in 2006, Daniel Hall offers buffet-style dining. The PalaDen, dubbed the "P-Den" by students, offers Chick-Fil-A, Moe's Southwest Grill, among others. In 2011, a Barnes & Noble was built on campus, where students can get coffee from the Barnes & Noble Cafe which features Starbucks products. The Paddock[D 9] is an updated dining area with a bar and sit-down restaurant. Furman University Student Government Association (SGA) works under a semi-Presidential system. SGA is made up of the executive council, and president, secretary, and two senators for each class. Each class elects a president, vice president, secretary, and treasurer. Upon election council members are assigned within one of six committees to specialize in a particular area of student needs. Furman University has six fraternities and eight sororities. Fraternities on campus: Beta Theta Pi, Kappa Alpha Order, Pi Kappa Phi, Sigma Chi, Sigma Alpha Epsilon and Sigma Nu. [A 23] Sororities on campus: Alpha Delta Pi, Alpha Kappa Alpha, Chi Omega, Delta Delta Delta, Delta Gamma, Kappa Delta, Kappa Kappa Gamma, and Zeta Tau Alpha. [A 23] The school also has two music based fraternities including Phi Mu Alpha Sinfonia, a men's social fraternity with emphasis in music, along with Sigma Alpha Iota, a primarily female professional music organization. The team nickname, the Paladins, was first used by a Greenville, South Carolina, sportswriter in the 1930s. For many years the name "Paladins" just referred to Furman's basketball team. Until 1961 the school's baseball teams were known as the "Hornets" and the football teams as the "Hurricanes". On Sept. 15, of that year, the student body voted to make "Paladins" the official nickname of all of the university's intercollegiate athletic teams. Charles H. Townes received his B.S. in Physics from Furman. A Nobel Laureate in Physics, he invented the maser and laser. Mark Sanford received his B.A. in business from Furman. He was the Governor of South Carolina. Amy Grant won six Grammy Awards. Her first ticketed concert took place during her first year at Furman. Jay Bocook, composer and arranger, whose work was heard during the 1984 Olympic Games Opening Ceremonies in Los Angeles. Thomas T. Goldsmith Jr., physicist, who helped pioneer the invention of Color Television, and Inventor of the first video game. Richard Riley, politician, Governor of South Carolina and sixth US Secretary of Education. Charles H Townes, physicist, 1964 Nobel Prize Winner in Physics. John B. Watson, psychologist, founder of Behaviorism. ^ "CONSOLIDATED FINANCIAL STATEMENTS" (PDF). Furman University. Retrieved 2019-03-12. ^ "Logo Use". Furman.edu. 2012-07-22. Retrieved 2015-07-18. ^ "Furman University History". Furman University. Archived from the original on 2010-09-10. Retrieved 2010-11-29. ^ "Duke Endowment: Partners in Progress". Archived from the original on 2009-10-12. Retrieved 2014-09-05. ^ "Positioning Statement". Furman University. Retrieved 2014-09-05. ^ Moore, Vince (2014-01-08). ""Because Furman Matters" campaign reaches successful conclusion". Retrieved 2018-07-07. ^ Roberts, John (September 20, 2013). "Furman dedicates Trone Student Center". Furman University. Retrieved 2018-07-07. ^ Moore, Vince (2017-05-24). "Alum Mary Frances Edwards Garrett bequests $2.2 million gift to Furman". Furman University. Retrieved 2018-07-07. ^ a b Board Members. [www.furman.edu]. ^ "Furman To Begin Play In Timmons Arena Tuesday Versus Northeastern Illinois". Furman University. December 29, 1997. Retrieved April 17, 2014. ^ "Engaged Living's Greenbelt Community". Furman.edu. Retrieved 2010-01-05. ^ "The Simple Cabin by the Lake". Furman.edu. Retrieved 2010-01-05. ^ "Our Vision, Furman Sustainability". ^ "Furman at a Glance". Furman University. 2018-03-09. Retrieved 2018-03-09. ^ a b Furman University. "Organizations". Furman.edu. Retrieved 2014-08-20. ^ "About Furman | Furman University". Furman.edu. 2012-07-22. Archived from the original on 2015-10-18. Retrieved 2015-10-15. ^ a b c d e Cary, Nathaniel (September 5, 2014). "Furman reflects on desegregation". The Greenville News. Retrieved 2014-09-05. ^ "Kaplan: The New On-Campus Environmentalism". Newsweek. Retrieved 2018-03-14. ^ "College Rankings 2011: Most Rigorous - Newsweek and The Daily Beast". Thedailybeast.com. 2011-09-14. Retrieved 2012-08-08. ^ "A Revealed Preference Ranking of U.S. Colleges and Universities". ^ "2011 College Sustainability Report Card". ^ "America's Most Beautiful College Campuses". Travel + Leisure. Retrieved 26 January 2015. ^ unknown (n.d.). "Furman Institution Faculty Residence" (PDF). National Register of Historic Places - Nomination and Inventory. Retrieved 5 July 2012. ^ "Furman Institution Faculty Residence, Fairfield County (int. of S.C. Hwy. 213 & S.C. Sec. Rds. 70 & 23, Winnsboro vicinity)". National Register Properties in South Carolina. South Carolina Department of Archives and History. Retrieved 5 July 2012. ^ "Furman Tops Among Southern Liberal Arts Colleges For Grads Earning Ph.D. Degrees". Archived from the original on 2006-10-05. ^ "Furman Univ. opens new $6.4M facility". Fox Carolina. Retrieved 2018-07-07. ^ a b "Our Most Innovative House Ever". Southern Living. Retrieved 2018-03-14. ^ "Welcome to CampusDish at Furman University!". Campusdish.com. 2013-09-03. Archived from the original on 2014-08-14. Retrieved 2014-08-14. ^ "Bleacher Report". Bleacher Report. Retrieved 26 January 2015.